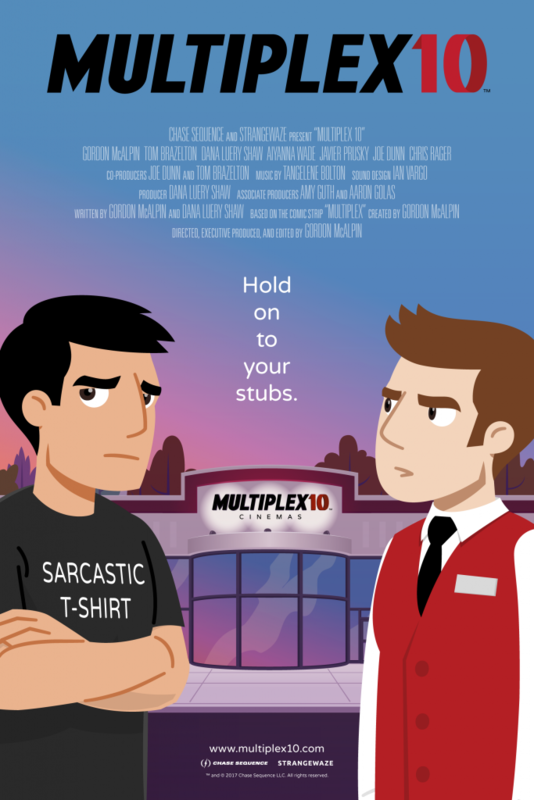 The Multiplex 10 theatrical poster is HERE! Ta dah! Here is the official Multiplex 10 theatrical poster. As an update on the post-production, Ian and Tangelene are hard at work on the sound design and score (respectively), and we’re aiming to get the final mix done in early December. Kickstarter backers will be able to stream the short as part of their “early access” reward sometime in December — but we’re holding off on the digital release (via Vimeo On Demand) for a little while, in hopes of lining up some film festivals and other hype magnets. Gotta maximize our Multiplex 10 marketing mojo! Previous Previous post: Multiplex 10 is now in POST-production! Next Next post: Hey, kids! Multiplex 10 reaction GIFs!